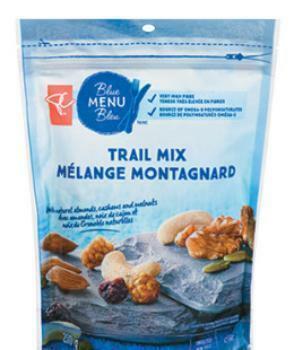 Loblaw Companies Limited is recalling President's Choice Blue Menu Trail Mix. Customers who have purchased the recalled product and have an allergy to wheat and soy or a sensitivity to gluten, should not consumer the product, but throw it out or return it to the place of purchase. Consumers with questions may contact the firm at 1-888-495-5111 or by email at customerservice@presidentschoice.ca.